A classic piece crafted elegantly in 18ct rose gold vermeil, perfect for daytime or evening. The Dream Catcher collection takes inspiration from the Native American protective symbol. Offering exquisite craftsmanship and visionary designs, the Links of London collection presents a charming blend of classic and contemporary. 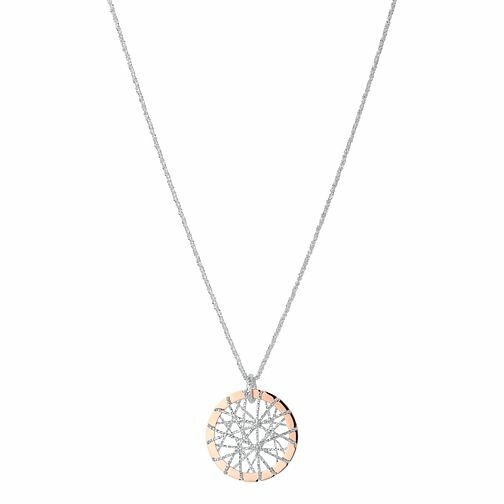 Links of London Dreamcatcher18ct Rose Gold Vermeil Necklace is rated 3.7 out of 5 by 3. Rated 5 out of 5 by Anonymous from Delicate My husband bought this for my birthday. Am extremely pleased with this Links of London piece called Dream Catcher. It is very delicate and light and catches the sunlight perfectly! Have bought From Ernest Jones before and have always been pleased with their prompt and reliable delivery.